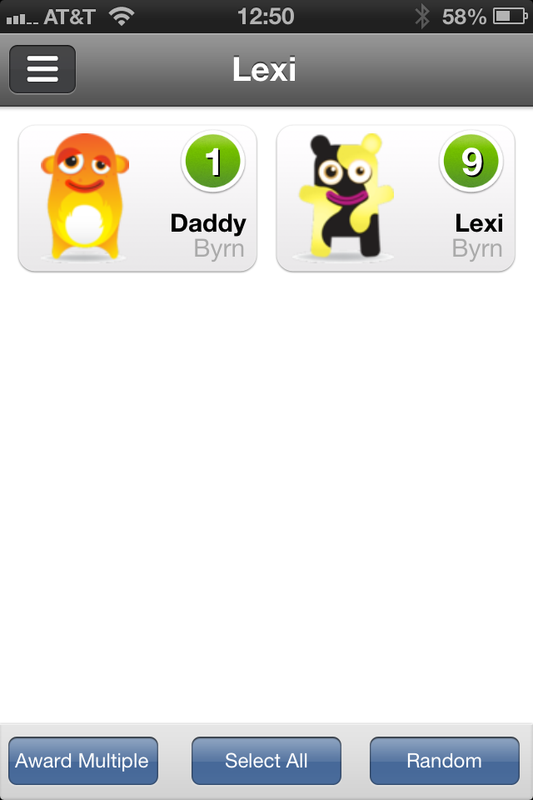 One of our friends is a school teacher and set Lex up on Class Dojo. She created a class “Lexi” and shared the log-in with Monica and me. It’s a simple system of positives/negatives. Each time Lex hits “10” she gets a treat. With the same log-in ID, we can access from all our our phones. I got a little carried away with the negatives at the beginning and had to change my scoring focus. I target nine positives for each negative. This entry was posted in Uncategorized and tagged class dojo, mood management, parenting by Gordo Byrn. Bookmark the permalink.